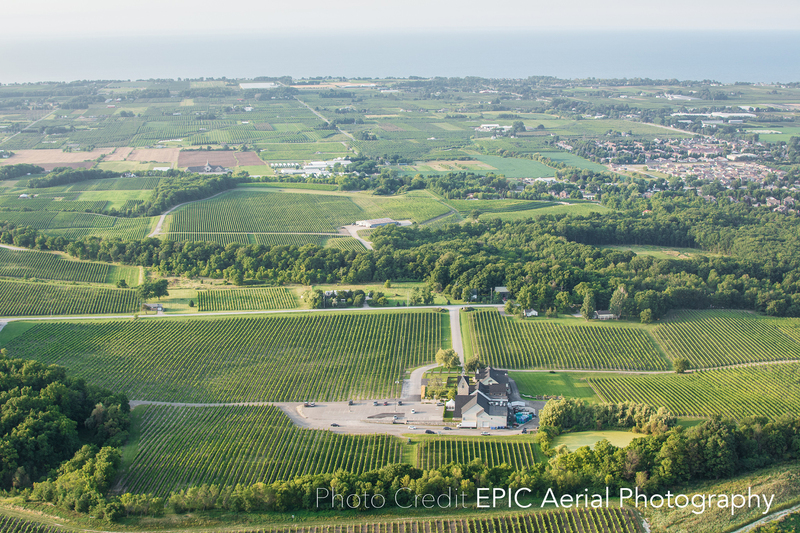 In honour of Canada Day, we wanted to highlight some brilliant Canadian wineries and winemakers that are exceeding in helping to expand the Canadian wine market. Last week, we met with Brian Schmidt, vino veteran and winemaker of Vineland Estates for 25 years. 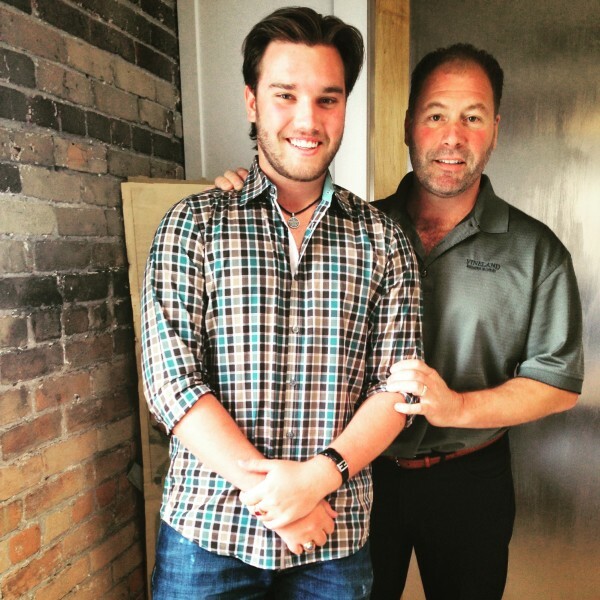 Brian (right) and his son Conor, during their visit to Calgary. “I have been around vines and wine my entire life,” Brian told us. Born and raised in the Okanagan Valley, Brian was exposed to winemaking early on. His parents opened the well-known Sumac Ridge in 1979 and as a third generation winemaker, learning through doing was the route in play for Schmidt and his career. Having never studied viticulture or oenology, Brian’s experience and daily lessons moulded his natural talent as a winemaker. Though he tested the waters, literally, as a commercial scuba diver, Brian soon learned that a life in the wine world was better suited. Travelling to the Loire Valley, Brian found the second love of his life (after his wife), Cabernet Franc, and according to him “Loire is mecca” when it comes to the grape. As the variety is known for its success is Canadian regions, working with Cab Franc became extremely useful when Schmidt later moved to Niagara to join his brother, Alan, at Vineland. During his travels however, Brian learned beyond grape and winemaking knowledge with his European experiences. With Brian’s role as a winemaker his goal is to “dismiss the complexities.” He believes that with humility and a sense of community, wine lovers can enjoy bottles without extend knowledge or a “nose in the air” attitude. Something that we at WineCollective also firmly believe! And so, when it comes to Vineland, Brian says he encourages his staff to share the great experiences of wine, in the vineyard and in the glass, without over emphasizing the technical and terrifying terms for those who walk through their tasting room. When Brian first arrived at Vineland, nearly three decades ago, production was 5,000 cases. While they have once reached 62,000, Brian says today, the winery is most comfortable at 50,000 cases annually. So what sets Vineland apart? Brian believes he has all of the experience necessary to capture the Niagara estate and “Bench Signature” of citrus fruit and plumping acidity. He produces Vineland wines to showcase the fruit characteristics brought forth naturally by the variety and vineyards, more so than oak qualities created in the winery. 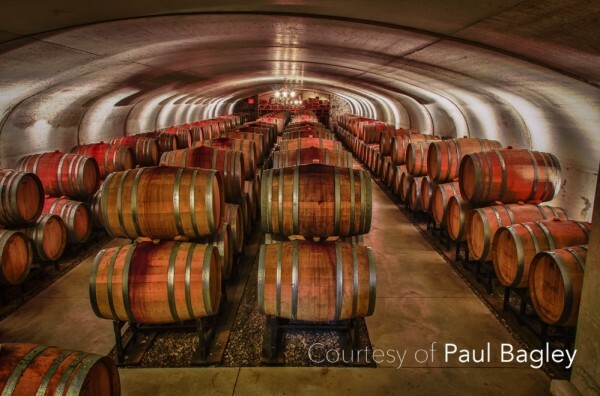 Stainless steel is used frequently at Vineland in order to preserve the fruit aromas and flavours and only neutral oak is used for specific red wines. In order to keep the vines worth showcasing, Brian says they need to be specially tended to each year, “like a radio, the vineyard needs to be fine tuned to hit the sweet spot.” This includes replanting and switching out vines that have diminished over cold winters like Cabernet Sauvignon and Merlot, which has difficulties thriving in Canada, with varieties like Cab Franc, Riesling and Chardonnay. Even more, Brian works to reduce the use of herbicides each year. Brian is assisted by Vineland viticulturist Roman Prydatkewycz, who tends to the wineries three vineyards, St. Urban Vineyard: 42 acres, Bo-Teel Vineyard: 60 acres and Greenland Beamsville: 16 acres. In the winery, Brian has recently made technological updates that he says will not only improve production times, but also, overall quality. A new Optical Sorter allows for ripe grapes to be separated from underripe berries using an UV light to sort by colour. The first test of the machine’s ability will come in two months with the 2014 Cabernet Franc – the first wine produced at Vineland with grapes sorted mechanically. We hope to bring this vintage to WineCollective members in the near future, as well as other exclusive wines produced with this high-tech machine. Of course our meeting with Brian also included tasting through the Vineland Estates lineup! Brian was a fan of un-oaked Chard, way before the trend hit the wine world for summer 2014. Still with a silky creamy mouthfeel, that you would expect from a Chardonnay, but with bright, focused and crisp tree fruit flavours. Produced from only 1 vintage of 3 where Cabernet Sauvignon flourished at Vineland. Dark cherry with light nuances of earth. Textured with weight and density after 15 months of neutral oak aging. Later aged for nine months in bottle. We are very excited to bring new Vineland wines to WineCollective members in upcoming packages during fall 2015. For your first look and taste, visit the store for the 2011 Cabernet Merlot! Up until and including Canada Day, July 1st, WineCollective members can use the coupon code CDNWINE on any Canadian wine in store for $5 off their order. Coupon expires July 2.